According to the all-knowing Wikipedia, Mother's Day is "a day to honor mothers and motherhood." Simple enough, right? So recently when I saw the following question posted, it made me think of this holiday and I had to ponder the thought for a while: Can we ever have too many pretty things? On the one hand, yay for pretty! If it makes you happy to look at it, how can there ever be too much? On the other hand, I think that there can probably be too much of just about anything (which would explain the mess that is in my closet from too many clothes... or my love handles from too many brownies). But when it comes to the really pretty things, the ones that take your breath away when you look at them because you just adore them so much, then I have to say no, there's never enough. Those are the things that are okay to put on your Mother's Day wish list and birthday wish list and holiday wish list over and over because you know that you'll never be disappointed. And with the date less than a month away, it's definitely time for the thinking caps to be on and the gifts to be ordered. 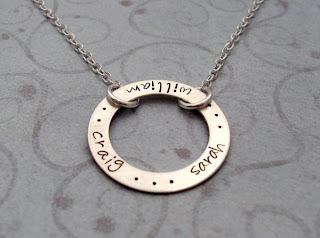 Flowers and cards can be picked up at the last minute, but something custom and personalized like mothers jewelry needs to have time to be hand-engraved and shipped to arrive in time for the holiday. 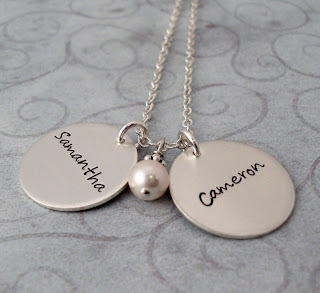 ...is there a way for a gift like that to not end up cherished? 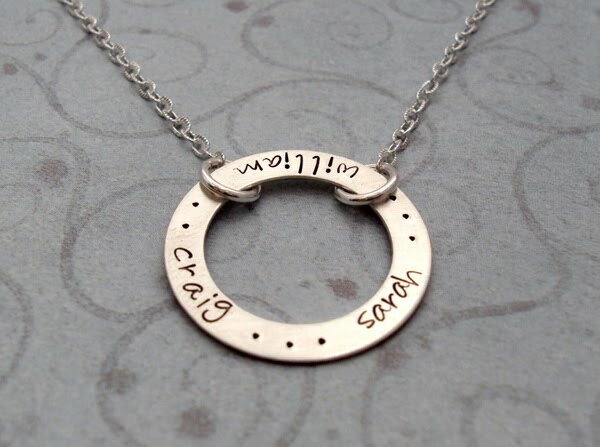 So whether the mom on your list has three children, nine grandchildren or has just been there for young ones for years, a personalized necklace, bracelet or ring is a gift that she will be sure to love this Mother's Day. Long after the flowers have wilted, the chocolates have been eaten and the cards have been filed away in a box or drawer, a custom piece of jewelry will continue to be brought out time and time again. 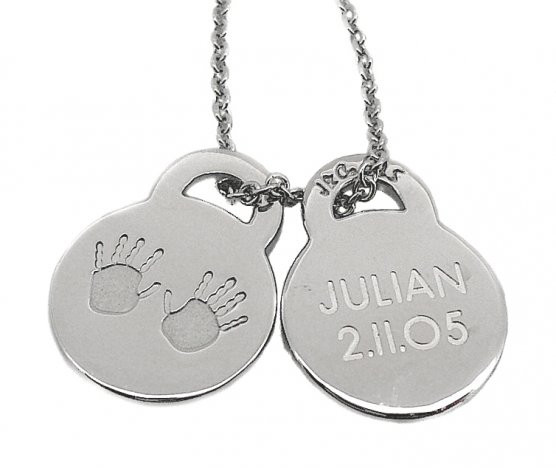 This May, be sure to surprise the mom in your life with something beautiful and special... and if you are still making your wish list, don't forget a stunning piece for yourself! Do you own a piece of jewelry celebrating motherhood? If not, is that something that you'd wear? That kind of jewelry warms a mom's heart forever!